I LOVE decorating with flowers. My entire house is full of all different types of flowers in all different types of vases. Instyle Magazine asked designers what their favorite "floral trick" was. I loved floral designer, Jeff Leatham's, response. He uses the glass containers from old candles to display his floral arrangements. I thought that was a great recycling idea! 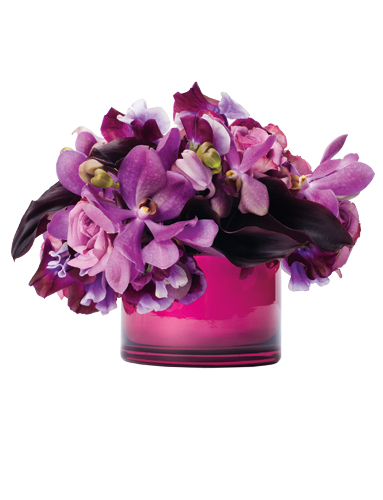 For more on his idea, and other cute ways to display flowers, go to Instyle's page here.